Eighteen Toroidal Field (TF) coils are operated on steady-state mode at highest current of 68 kA in comparison with the other pulse operation coils such as Poloidal Field and Central Solenoid coils in ITER superconductive magnet system, which are fed by Coil Power Supply Systema (CPSS). The reliability of TF circuit is significant to investment and nuclear safety of ITER machine. Hence, the comprehensive protection functions as Slow Discharge, Accelerated Discharge and Fast Discharge are required by ITER TF CPSS and the detailed realizations have been illustrated according to the different levels of faults to guarantee the safety of components including TF coils. In addition, the simulation model has been built by MATLAB/SIMULINK according to the real configuration of circuit and control system to verify the protection strategies and the satisfied simulation results have been obtained. Disclaimer: The views and opinions expressed herein do not necessarily reflect those of the ITER Organization. 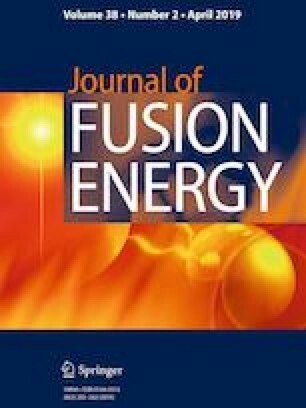 The authors wish to thank the technical teams of the Korean and Russian Federation DAs that contributed to the Design of the ITER TF CPSS.